Located in the center of the “Casco Viejo” (old sector of the city), the Plaza 24 de Septiembre received its name in honor of the anniversary of the uprising that led to Santa Cruz´s independence from Spain. 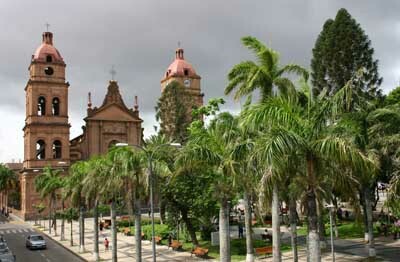 In the center of the plaza stands the statue of Ignacio Warnes, a local hero of the Independence War initiated in 1810. Today this is one of the most important places for social and casual meetings between the young and old of all social classes and nationalities. It’s also a perfect place for some people watching from the numerous benches! Older people commonly relax on benches playing chess or having a shoe shine. 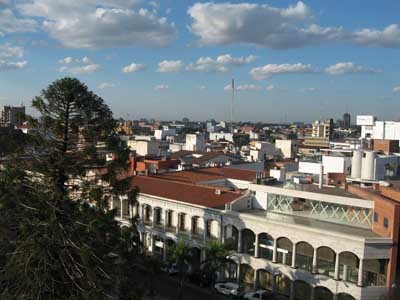 Bordering the Plaza 24 de Septiembre one encounters the Cathedral, el Club Social, the Municipal Cultural Center, and other buildings that maintain their colonial architecture and are considered part of the historic patrimony of Santa Cruz.